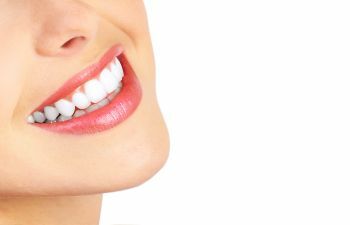 A gap between the two upper teeth is common. While some adults embrace their gap and wouldn’t dream of fixing it, others view it as an unsightly space that threatens the beauty of their overall smile appearance. When it comes to smile aesthetics, the top front teeth are in the spotlight. Therefore, it is understandable why you’d want to close in a gap and achieve a more unified and attractive smile. What you may not know, however, is that you don’t necessarily have to spend time in braces to rid your tooth gap goodbye. In fact, there are two easy solutions in cosmetic dentistry that can help. If your front tooth gap is only slight or involves a minor spacing issue, you may be able to correct it with dental bonding. This is a super easy and cost-effective procedure that involves applying composite resin to your top front teeth to build up the width and close in the gap. A dentist can determine if your dental gap is small enough for bonding correction. If so, you can expect a quick and painless procedure! If you are unwilling to undergo orthodontics or you don’t have any misalignment issues, you can likely turn to one of the most versatile and valued treatments in cosmetic dentistry for your gap – porcelain veneers. Veneers are strong, wafer-thin shells of porcelain that are adhered to the front of the teeth. They are about as thick as a contact lens yet made of durable, long-lasting material that replicates the translucency of real teeth. When getting veneers, your tooth gap will remain, but the natural-looking veneers will simply cover it up so others can’t see. Veneers are frequently used in smile makeovers because they can disguise a full range of flows, including chips, stains, misshapen teeth and more. When using veneers to cover up a front tooth gap, the two veneers will be slightly larger than the teeth they’re covering \so that they fill in the space, while still looking natural. These veneers are customized for your unique smile – that includes their color, shape and size! Modern dentistry brings new options for people who want to reverse cosmetic imperfections within their smile. Are you embracing or embarrassed by your tooth gap? If it is the latter, let us help you attain the confident smile you deserve at Mitzi Morris, DMD.